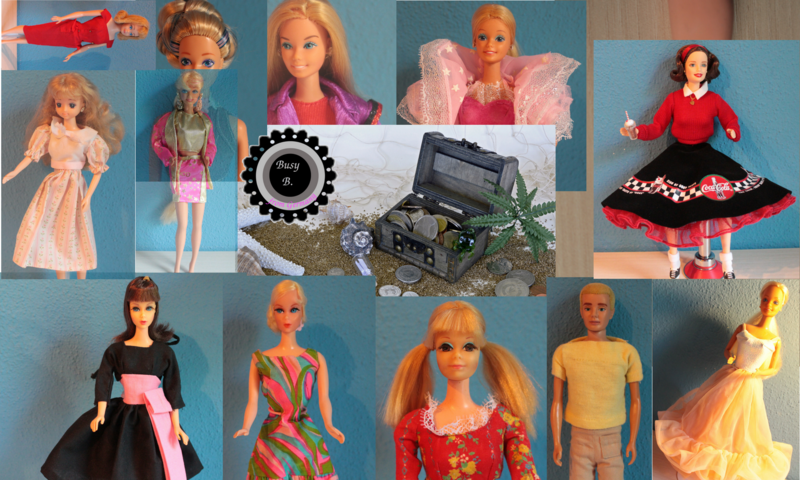 I admit in the last months I found lots of Congost Barbie dolls from Spain. 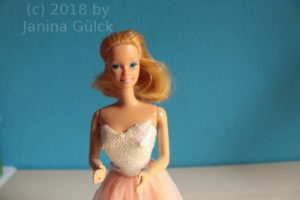 I have no idea why but I buy the dolls when they become available somewhere. 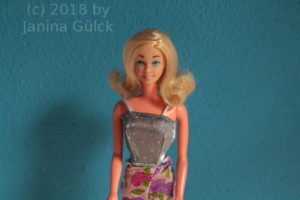 My latest find is a Spanish version of the Magic Moves Barbie. I have no idea what her name is. I bought her as Spanish Magic Moves version. She is indeed different from the US version. 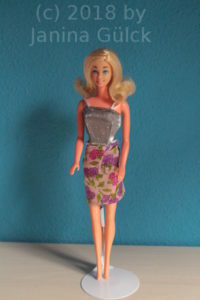 It seems that the boxed dolls from Spain are extremely hard to find so I bought mine without any box. 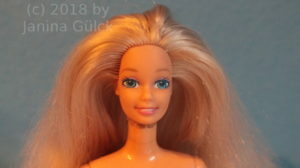 She still has 95% of her hair (which is quite good for a Barbie doll from Spain). She also has her complete make up. This time no problems with repaints. The only thing she’s missing is her original outfit. At the moment she’s wearing a mini dress. 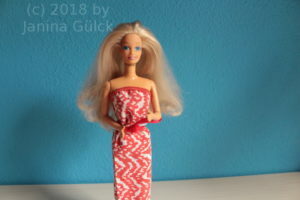 I’m not sure to which Barbie doll the dress belongs. 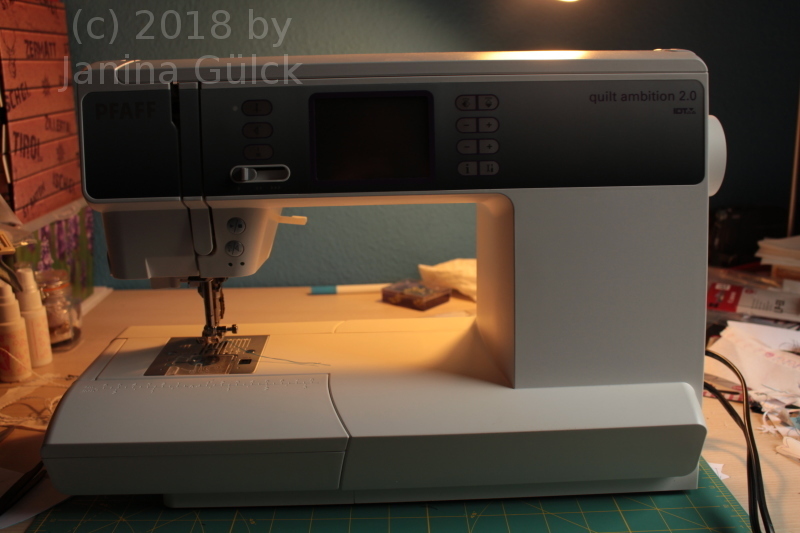 The mechanism does not work anymore but I don’t care very much about it. Last week I got a parcel from Spain with an unusual content. 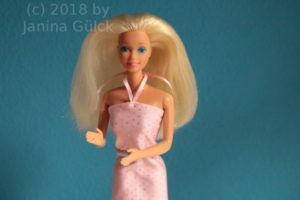 I got my first Barbie dolls from Venezuela. I saw them recently and bought them immediately. 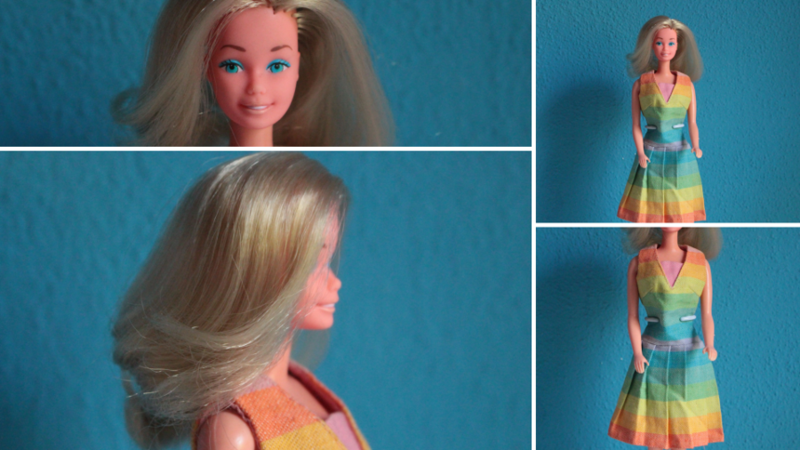 What’s so special about Barbie from Venezuela? Well, they are hard to find in Europe. 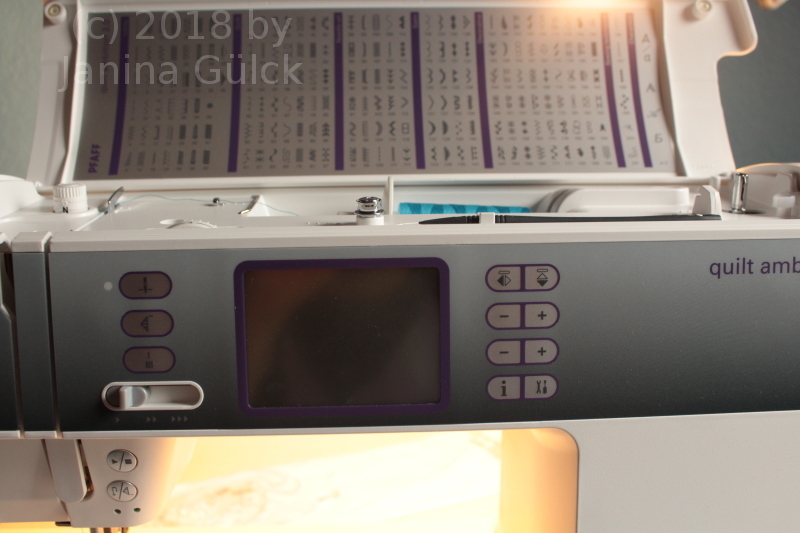 They were produced by Rotoplast in Venezuela similar like the one from Basa I wrote about last week. 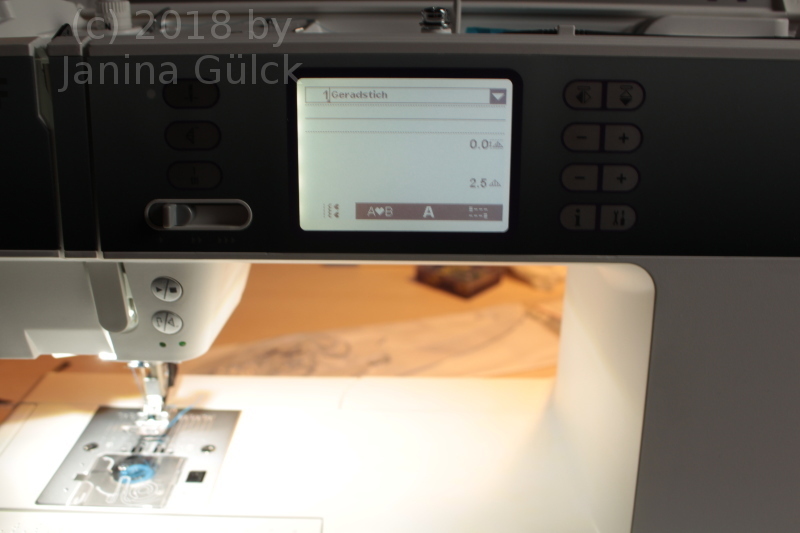 I learned that the hair quality is quite good. It seems that the make up on the cheeks was normal make up for humans. It obviously happens often that the make up from the cheeks is gone first. I think that’s interesting to know. With a little help of a collector from South America I was able to identify all three. 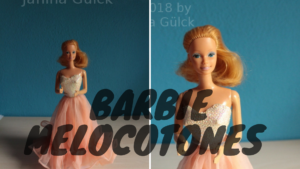 The first one with the hair cut is called Melocotón Barbie doll. 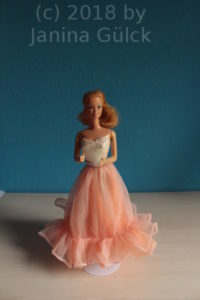 She’s from 1986 and the Peach n Cream version from Venezuela. 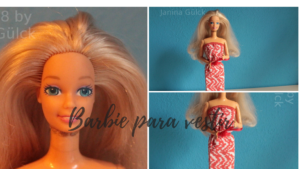 The second one is called Barbie para Vestir what means “Barbie to dress” in English. She was the hardest one of the 3 to identify. She’s from 1992. I was also told that she has a fabrication error ( the strange thing you can see on her neck). 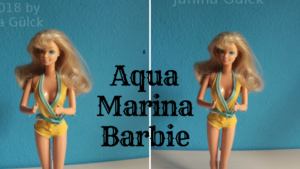 The last one is called Aqua Marina Barbie and was released in 1990.